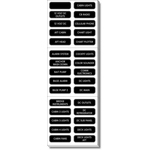 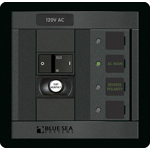 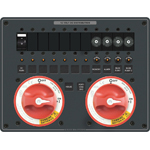 Here we have a wide range of circuit breaker panels and switch panels designed originally for boats but suitable for cars, trucks, RV's, emergency service vehicles, military applications and even on occasion aircraft too. 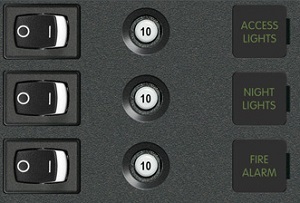 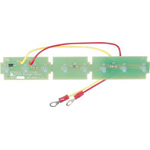 These panels provide switching and circuit protection and many have metering equipment. 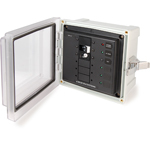 Most come with backlit labels, indicator lights and all are made of corrosion resistant marine grade materials.